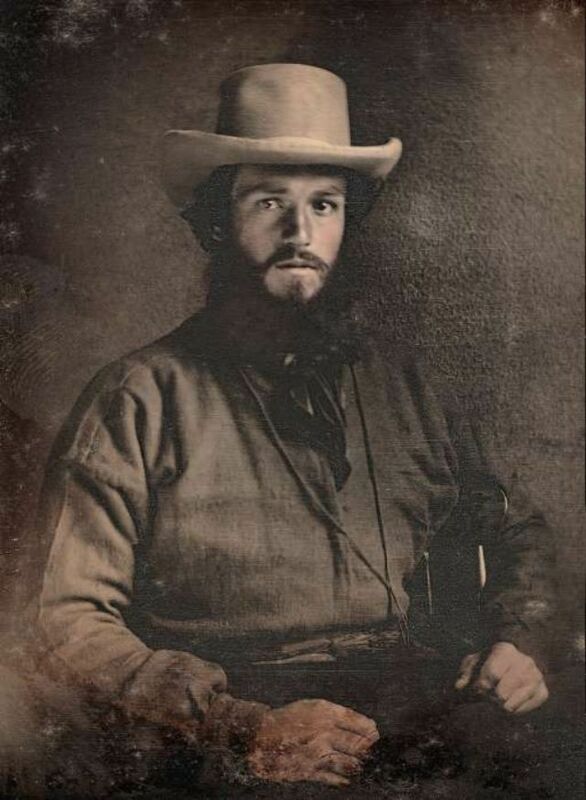 Young gold-rush prospectors stare down the camera in these striking daguerreotypes and tintypes of the 1940s and 1850s, from a time before California boomtowns became ghost towns. 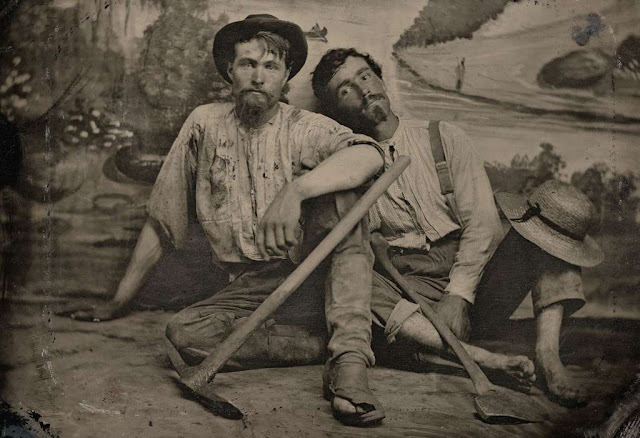 Gold and Silver by Luce Lebart offers a contemporary insight into an exclusive archive of the California Gold Rush held by the Canadian Photography Institute of the National Gallery of Canada, and donated by the Archive of Modern Conflict. 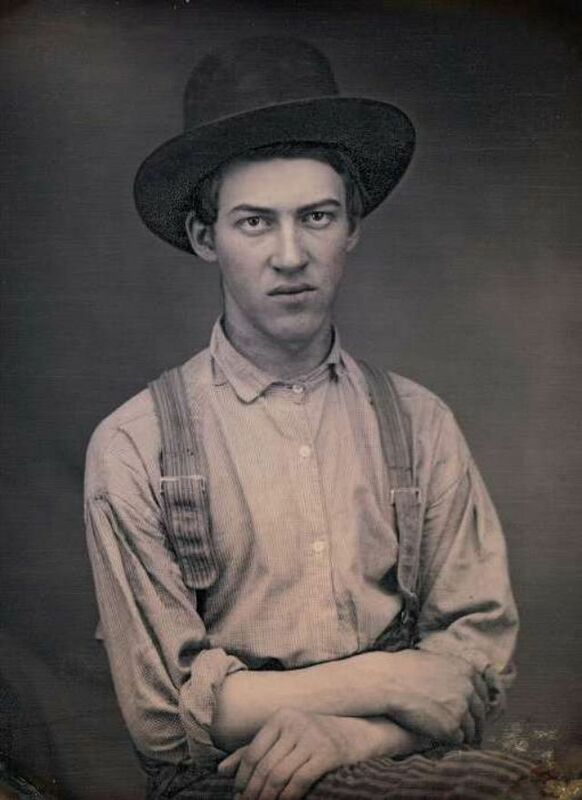 Young nineteenth-century argonauts look at the camera, defying all the conventions of portraiture. 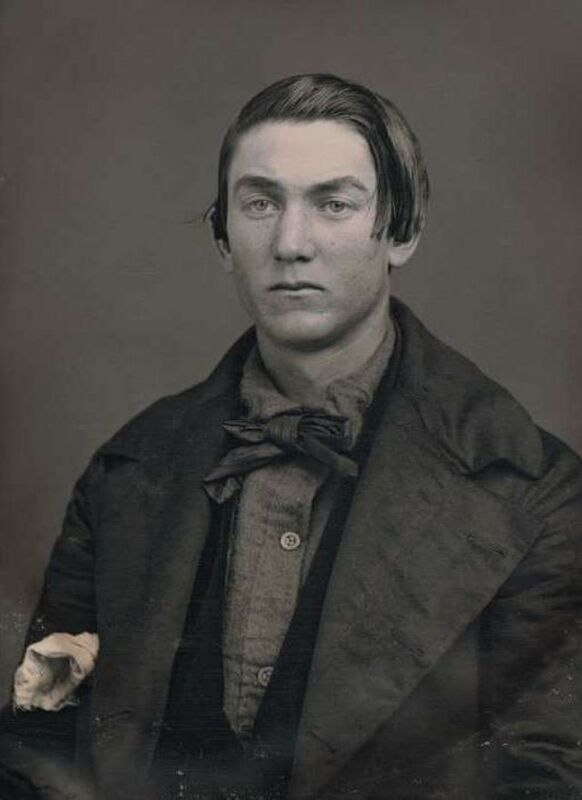 Everything in these pictures – their attitudes, their stares, their clothes – deviates from the usual representations associated with daguerreotype photography. Portrait of a young man by Abraham Bogardus, c. 1852. 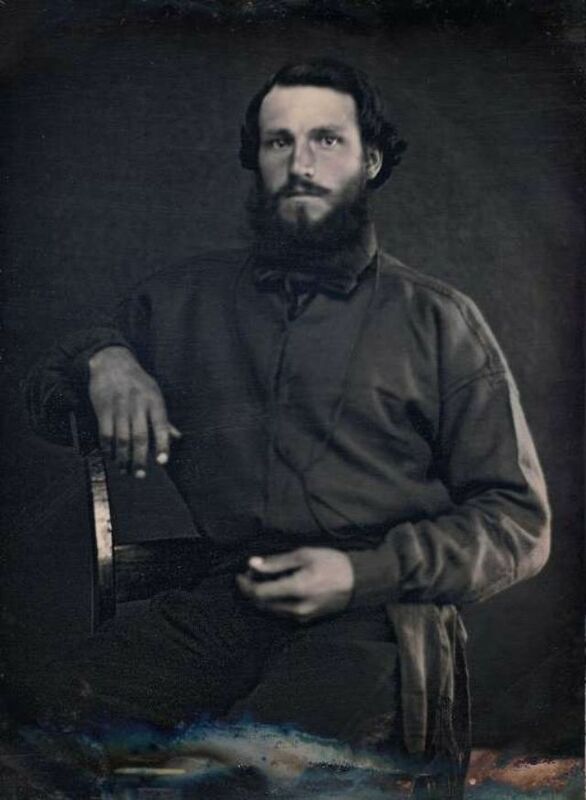 Portrait of an unidentified miner by Robert H. Vance, c. 1852. 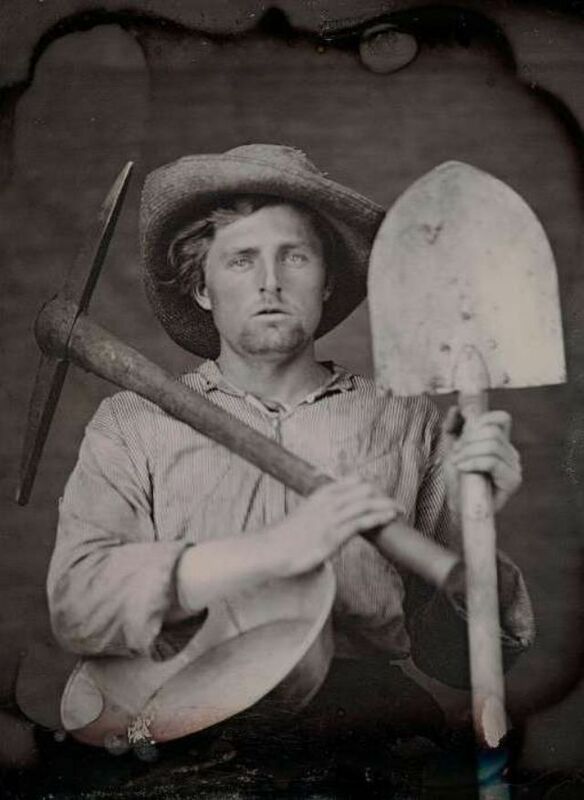 Portrait of an unidentified man with mining tools by an unknown photographer, c. 1851. Portrait of Henry Hobart Stiles by Charles F. Hamilton, c. 1854. 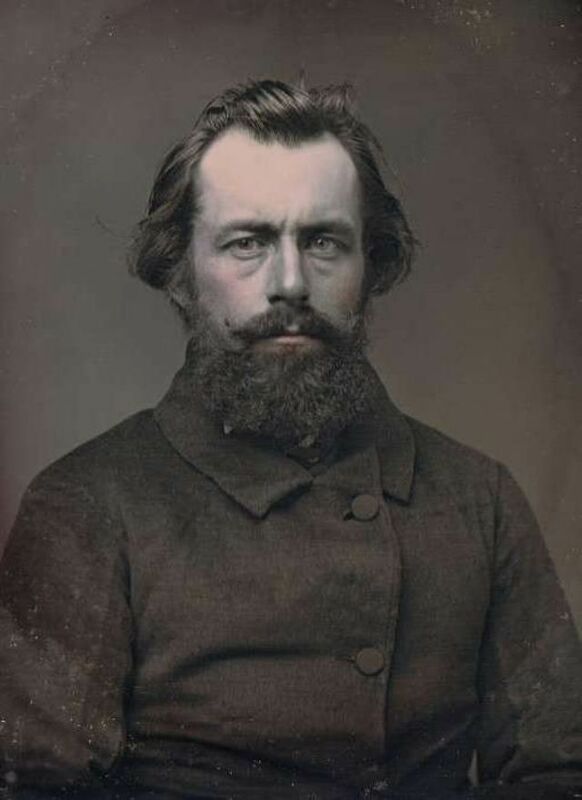 Portrait of R.S.M. Camden by an unknown photographer, c. 1850. 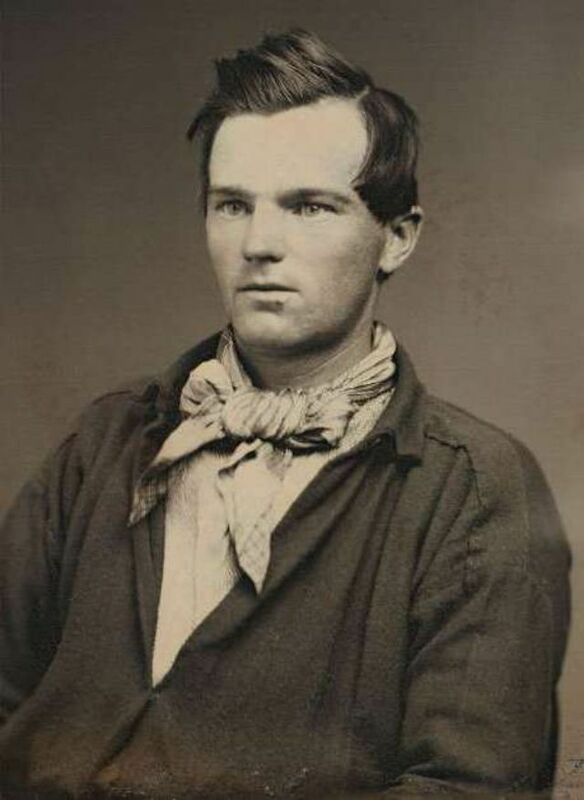 Portrait of Charles Edward Mitchell in a mining outfit by L.H. Purnell and Samuel Van Loan, c. 1853. 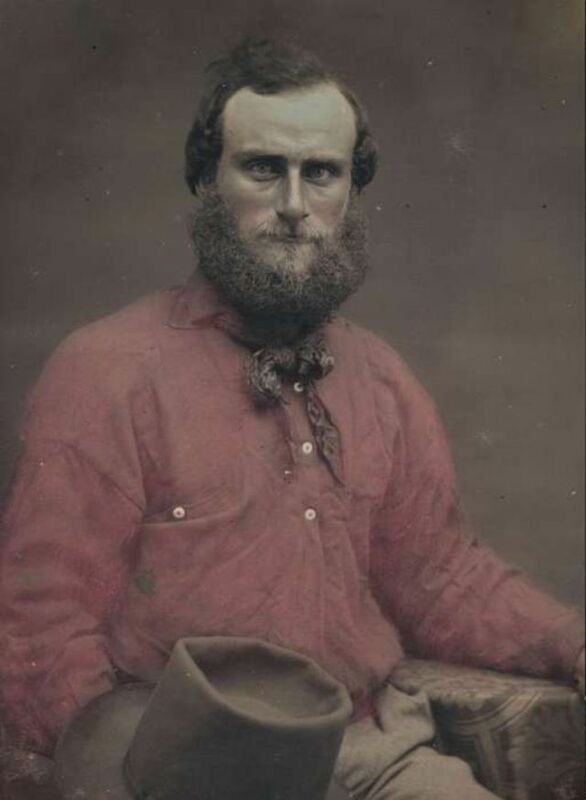 Portrait of Charles Edward Mitchell two years earlier by an unknown photographer, c. 1851. 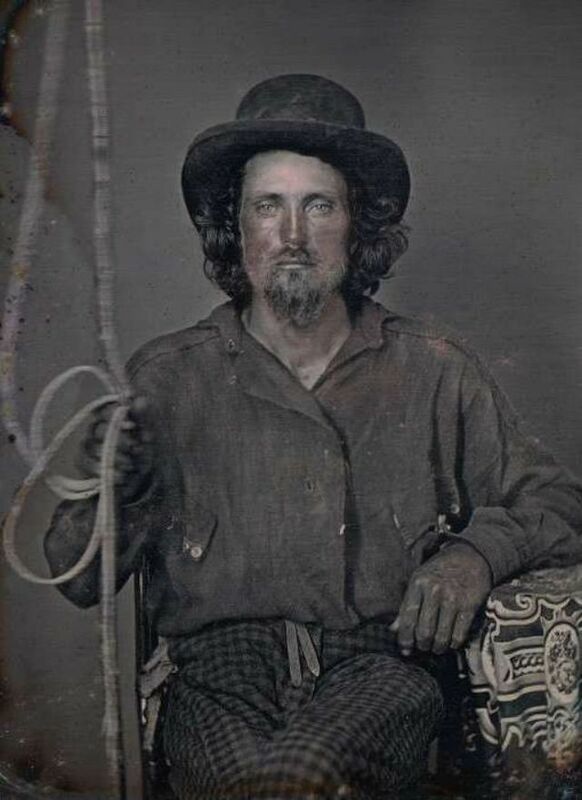 Portrait of an unidentified man in a straw hat by an unknown photographer, c. 1850. 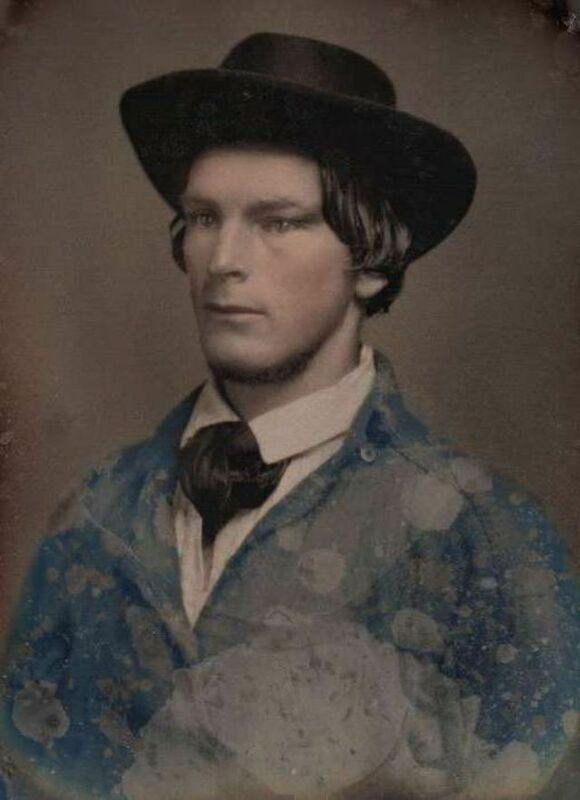 Portrait of an unidentified young man in a hat and suspenders by an unknown photographer, c. 1850. 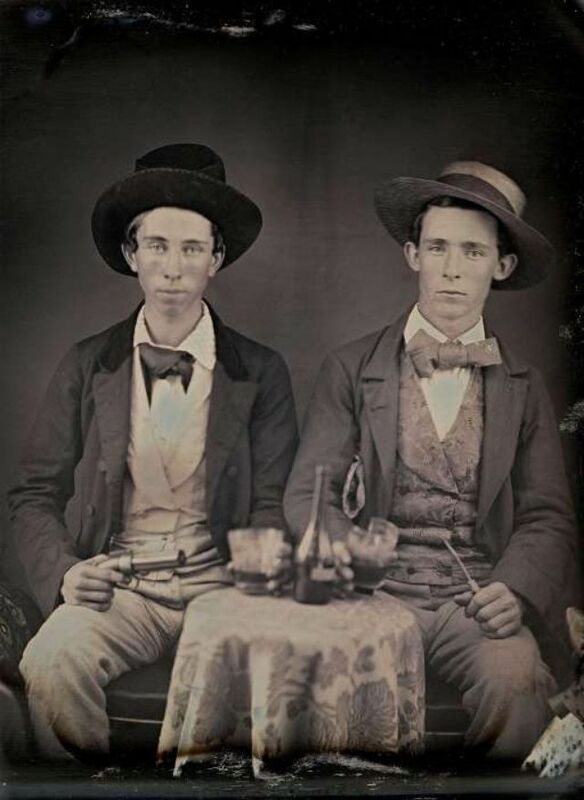 Portrait of two unidentified young men drinking liquor by an unknown photographer, c. 1850. 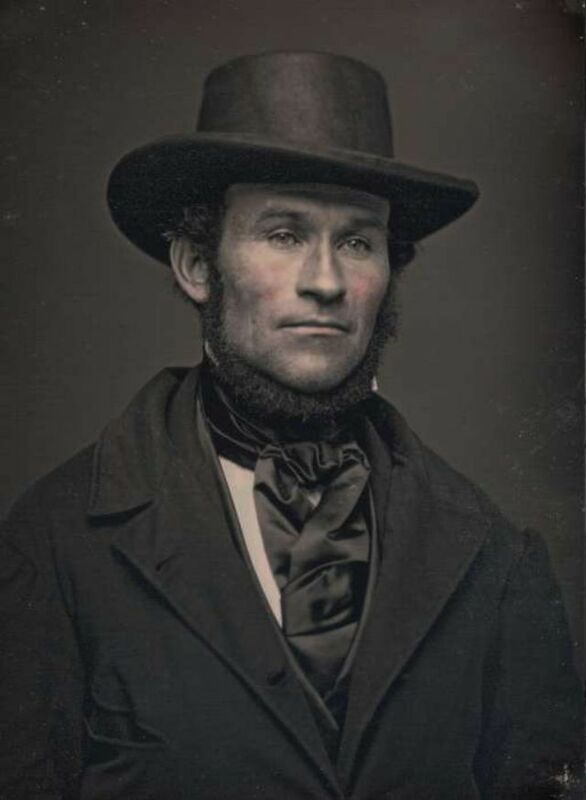 Portrait of an unidentified man by Robert H. Vance, c. 1855. 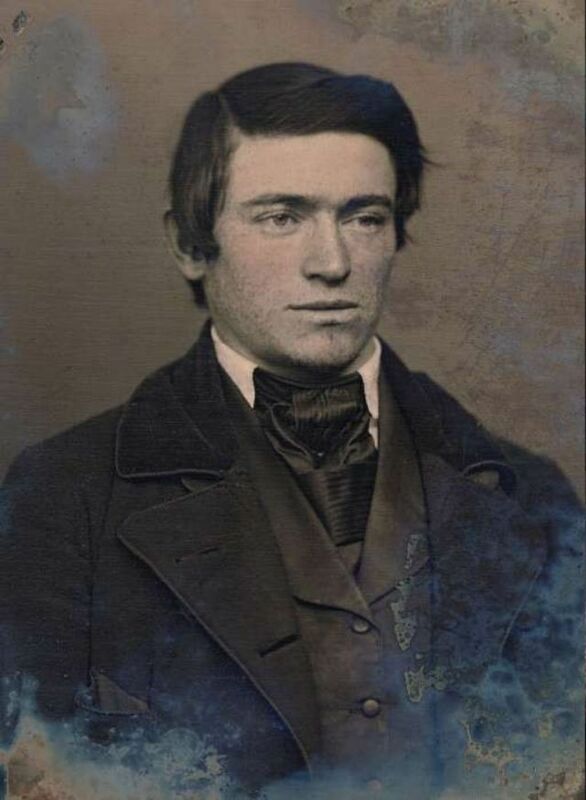 Portrait of Moses Warren by an unknown photographer, c. 1851. 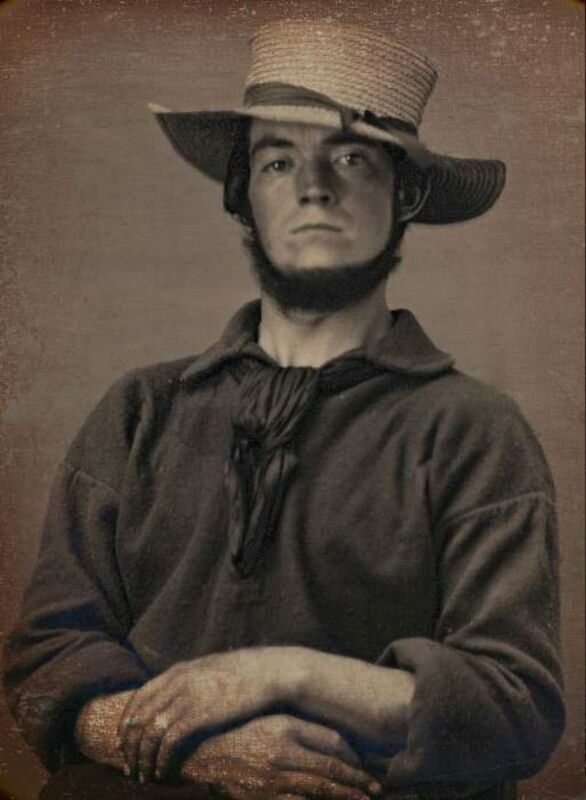 Portrait of David Hobby by an unknown photographer, c. 1850. 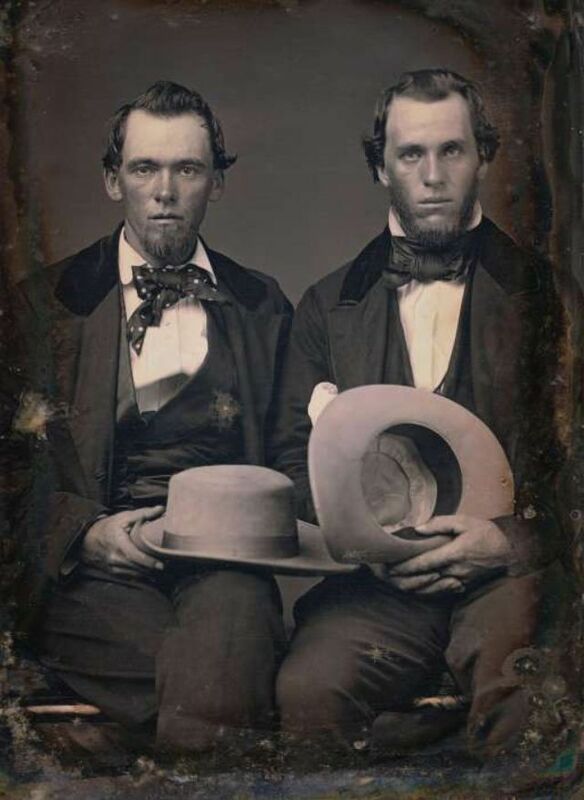 Portrait of two unidentified brothers holding hats by Robert H. Vance, c. 1850. 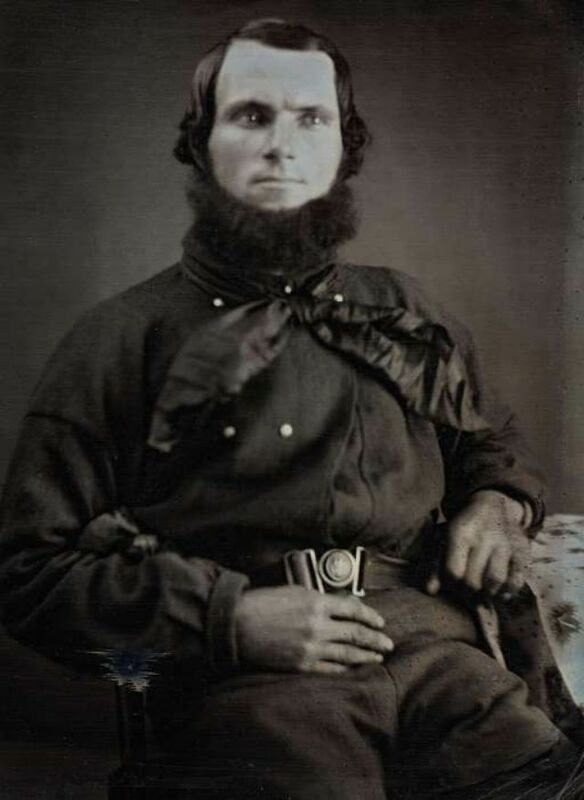 Portrait of an unidentified man by an unknown photographer, c. 1850. 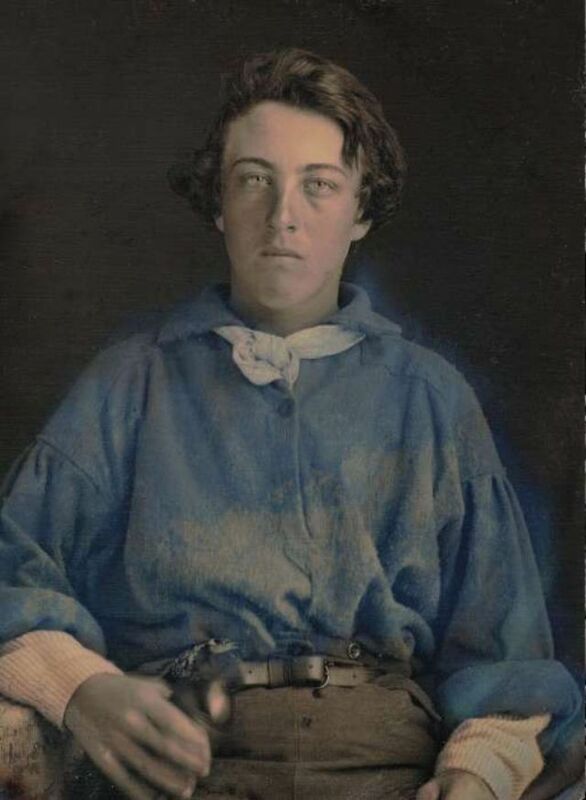 Portrait of an unidentified man in a blue shirt by Robert H. Vance, c. 1850. 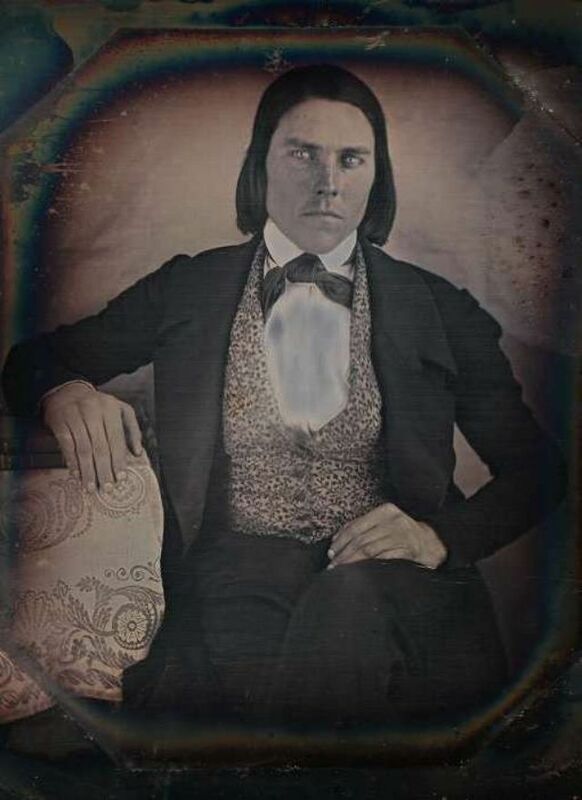 Portrait of an unidentified man by William Shew, c. 1851. Portrait of Charles Bogert by Robert H. Vance, c. 1845. 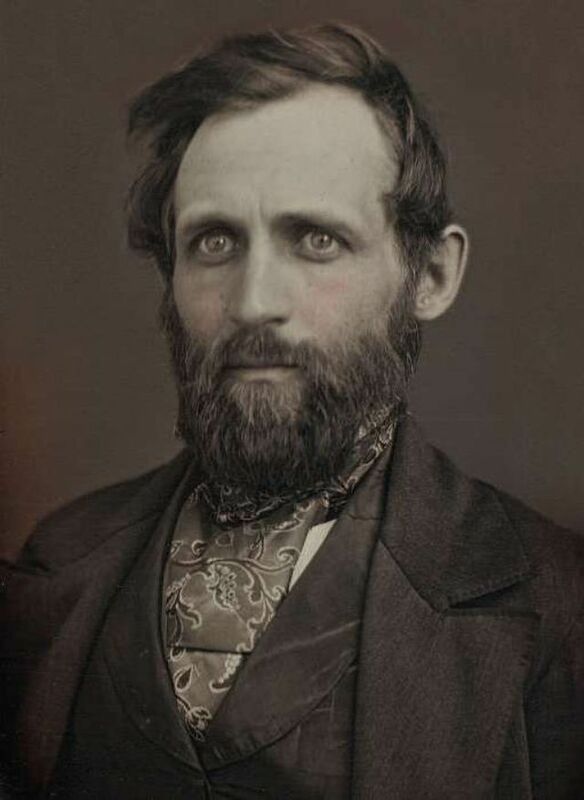 Portrait of Ezra B. Tracy by an unknown photographer, c. 1852. 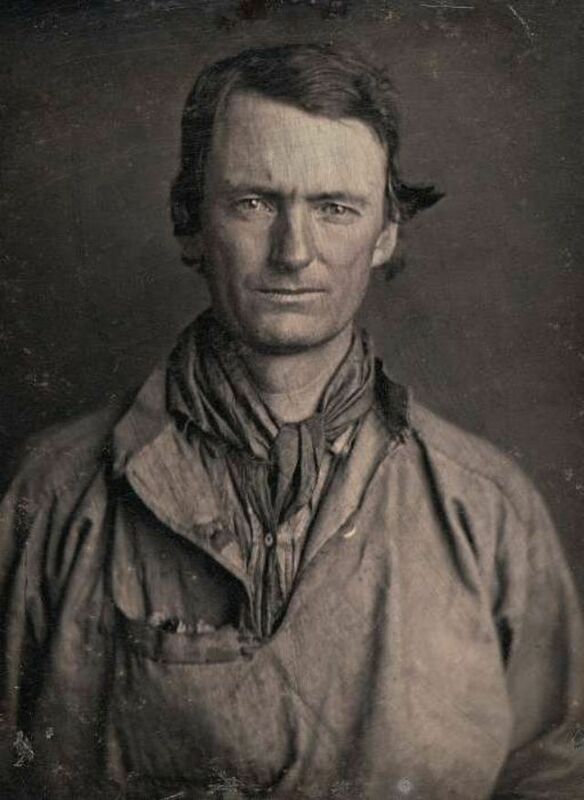 Portrait of an unidentified mule driver by an unknown photographer, c. 1850. 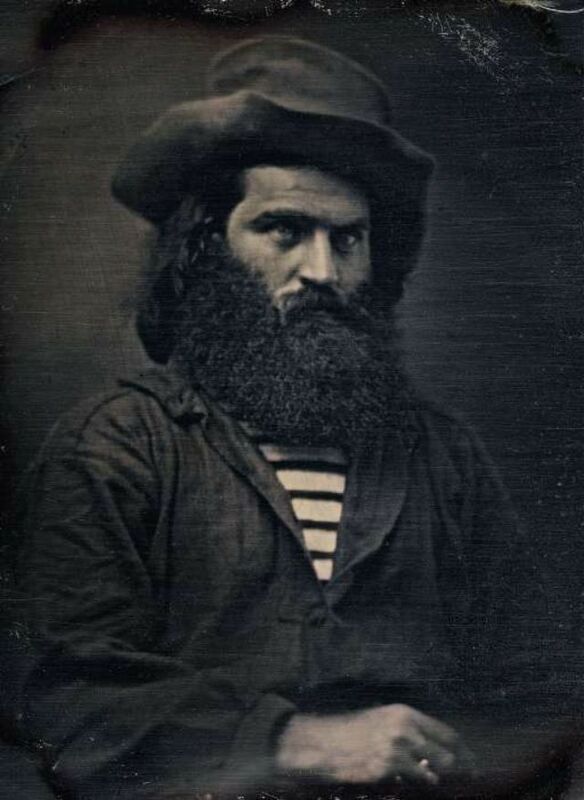 Portrait of an unidentified man in a striped shirt by an unknown photographer, c. 1848. 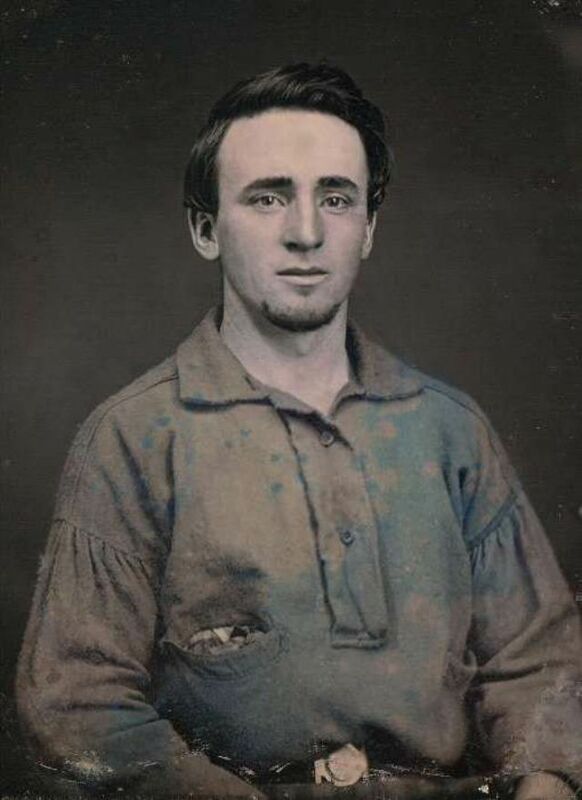 Portrait of an unidentified man in a blue shirt by Robert H. Vance, c. 1856. 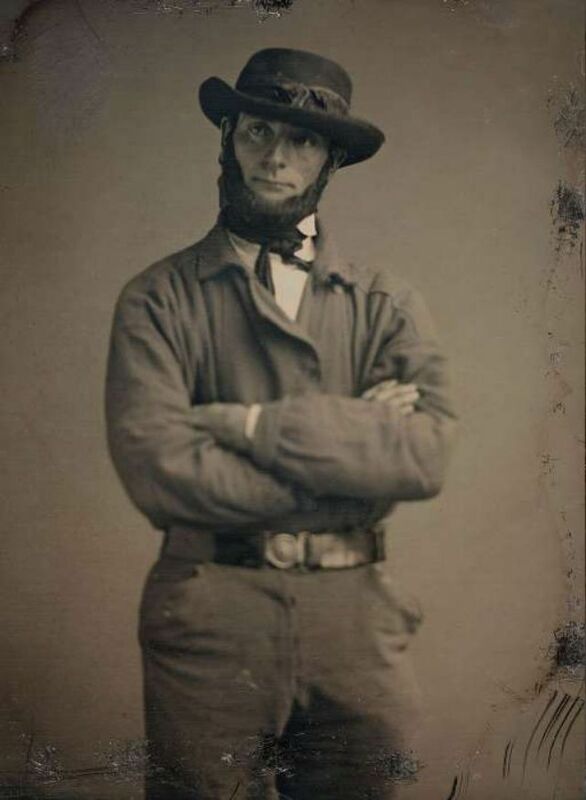 Portrait of an unidentified man in work clothes by an unidentified photographer, c. 1850. Portrait of an unidentified pair of prospectors by an unknown photographer, c. 1860. 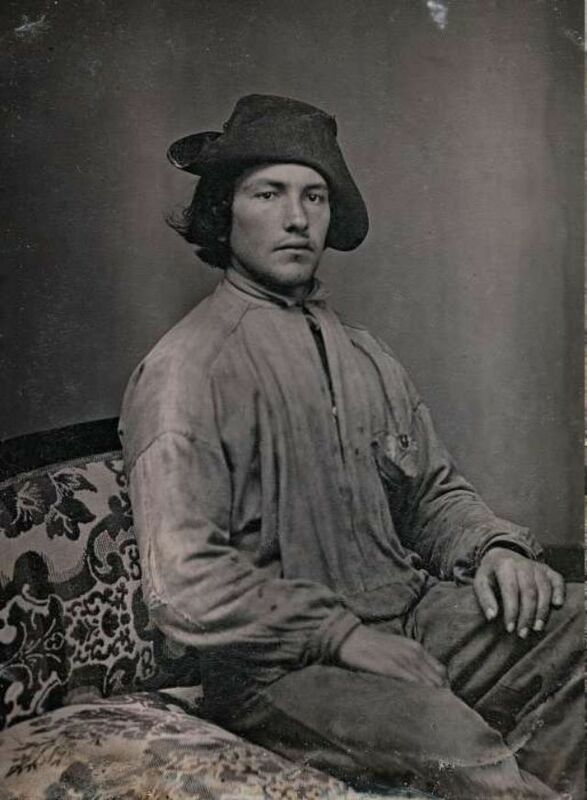 Portrait of an unidentified miner by an unknown photographer. 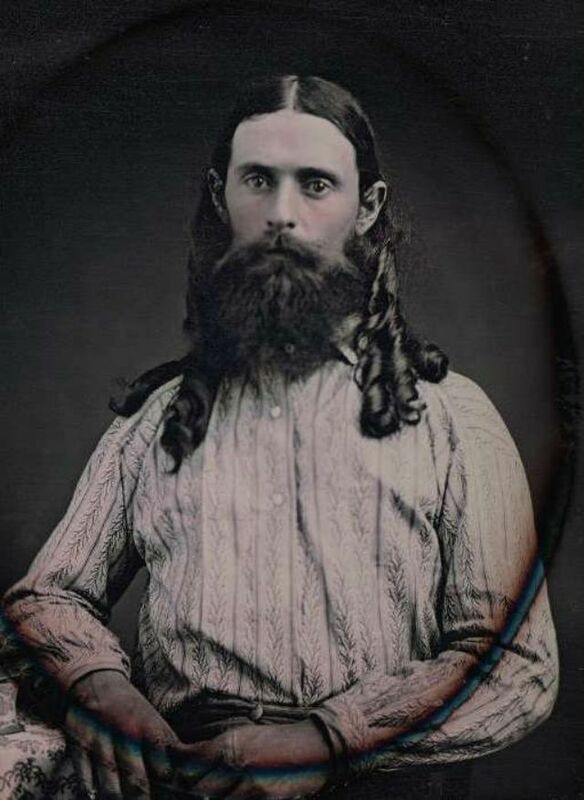 Portrait of Moses Warren by an unknown photographer, c. 1850. 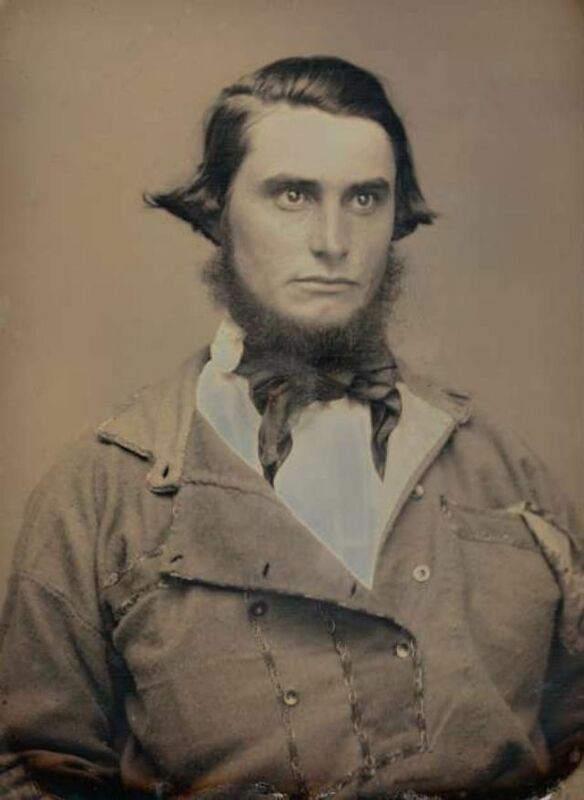 Portrait of an unidentified man by Robert H. Vance, c. 1850.